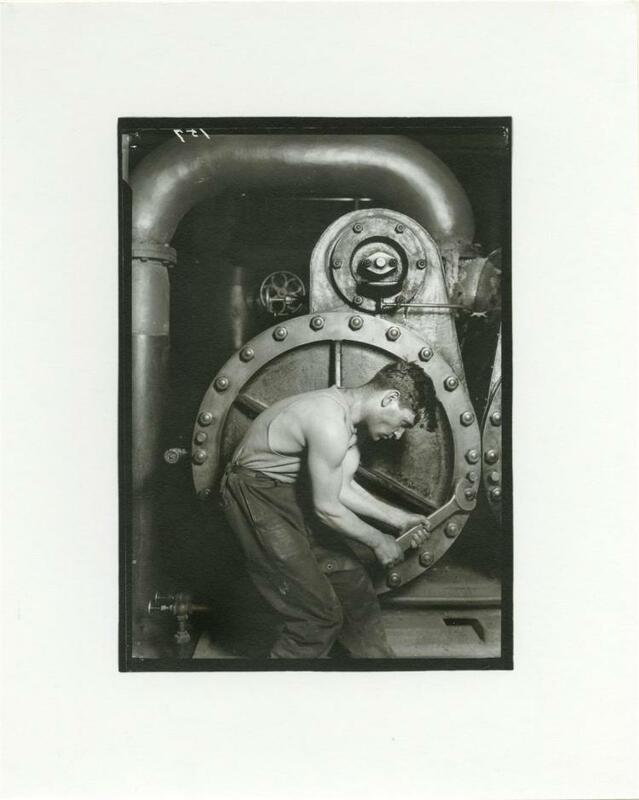 Wonderful vintage Lewis Hine "Powerhouse Mechanic"photograph taken in 1920 but printed in 1975. To auction tomorrow in Stanfords Auctioneers sale of Pop, Modern, Contemporary Art & Photography. $5,000 - $6,000.